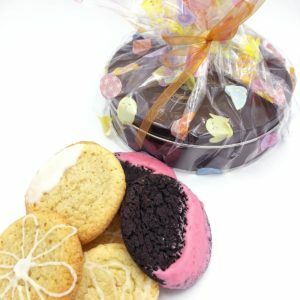 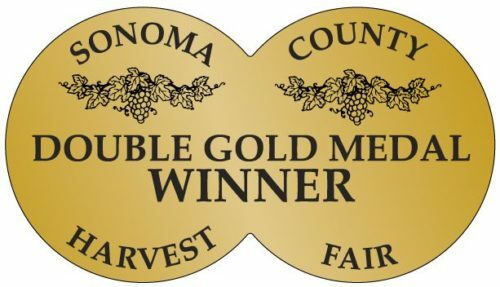 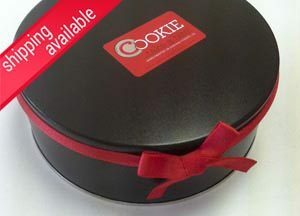 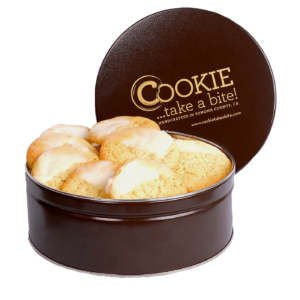 Premium Variety Tin - Custom Cookies | COOKIE...take a bite! 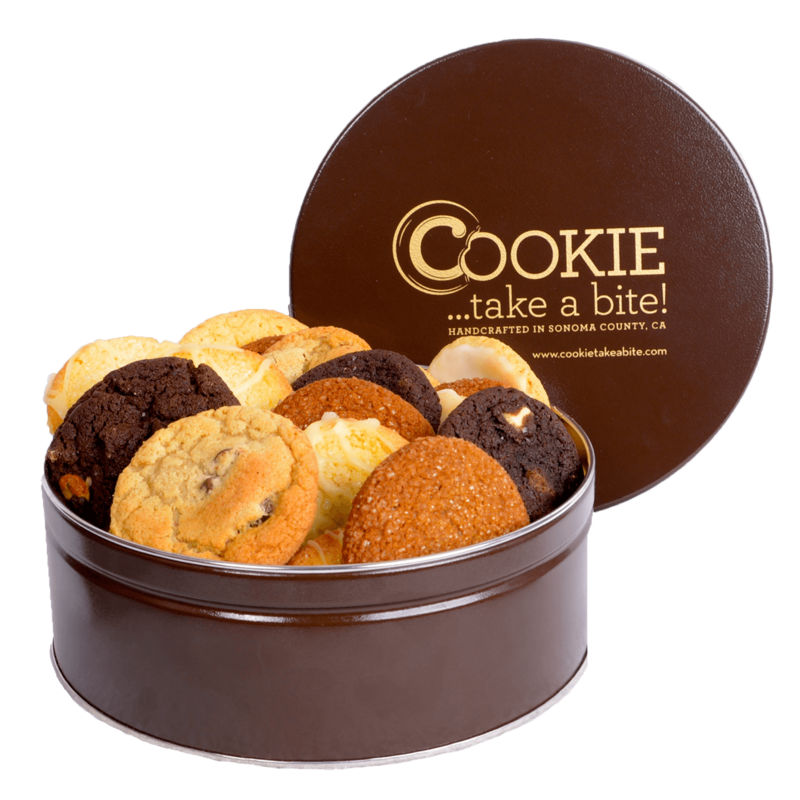 Try all of our favorite flavors in this variety tin! 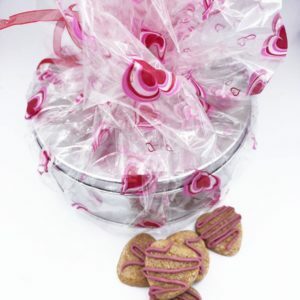 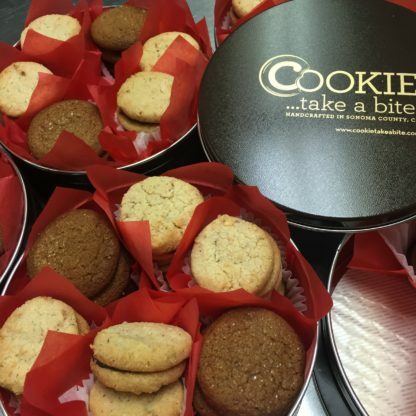 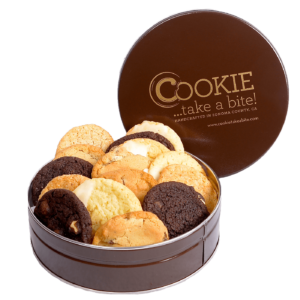 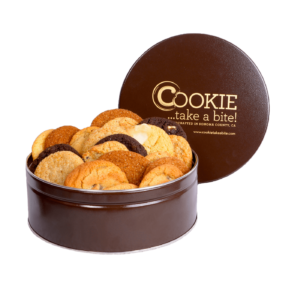 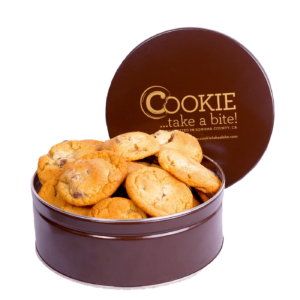 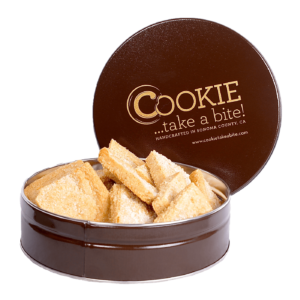 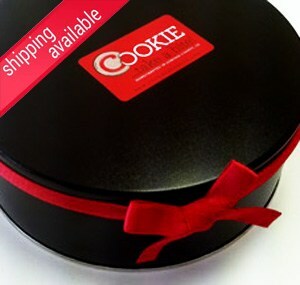 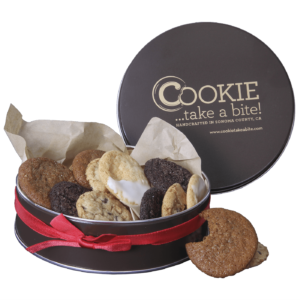 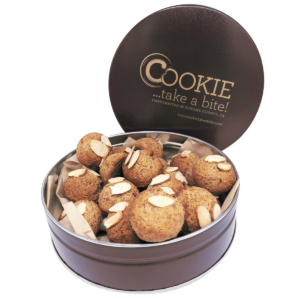 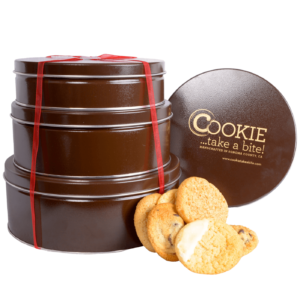 Our Sampler tin is the best way to share our cookies with cookie lovers. 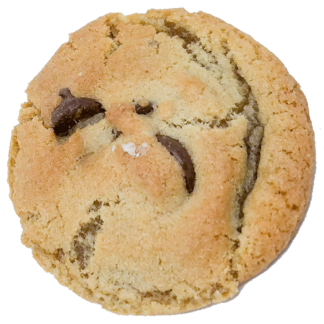 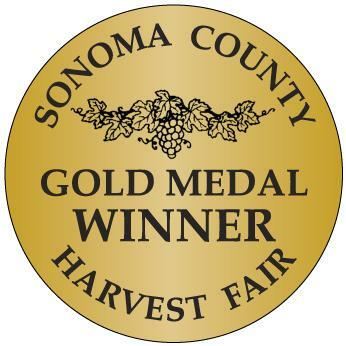 A crispy edge and soft inside make our chocolate chip cookie a winner! 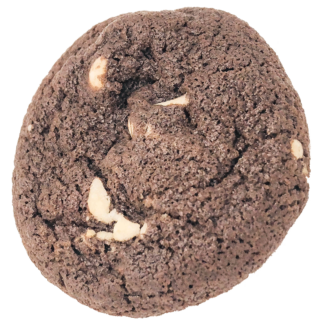 Ingredients: organic wheat flour, cane sugar, brown sugar, organic butter (milk), dark chocolate chips (sugar, unsweetened chocolate, cocoa butter, sunflower lecithin, vanilla bean seeds), eggs, vanilla extract, baking soda, baking powder, salt. 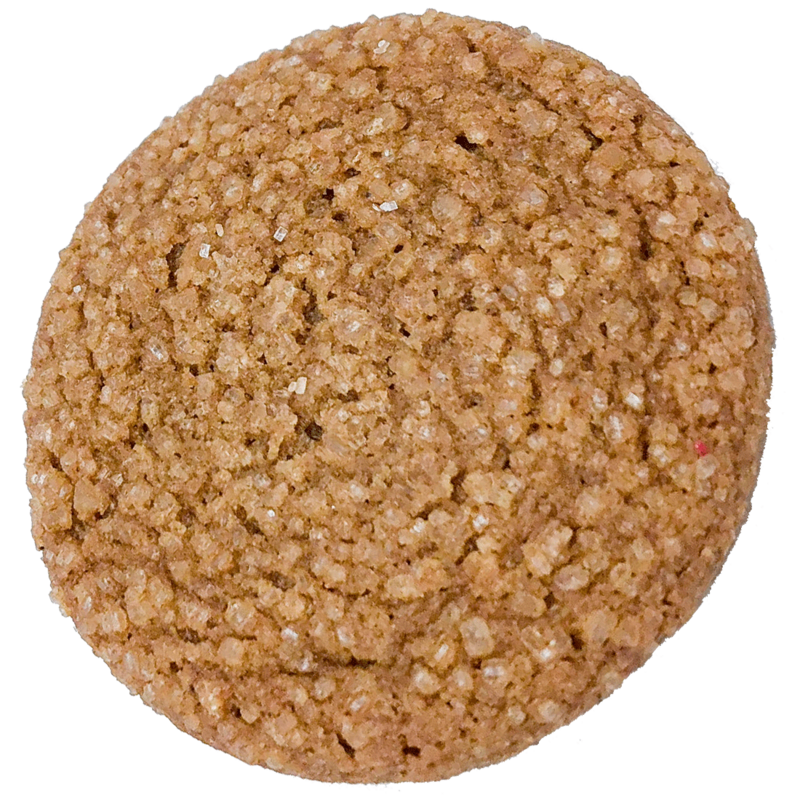 Fresh ginger and rich spices make this a perfect spiced cookie. Ingredients: organic wheat flour, brown sugar, organic butter (milk), honey, molasses, eggs, fresh ginger, fresh oranges, vanilla extract, baking soda, spices, salt. 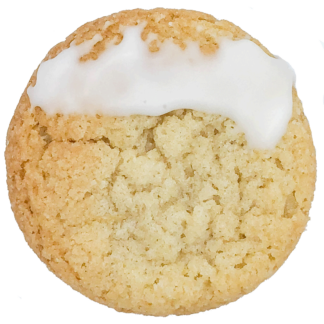 Our signature cookie made with fresh lemons. Tangy and creamy it is a fan favorite! Ingredients: organic wheat flour, organic butter (milk), organic cane sugar, fresh lemons, organic whole milk, eggs, baking soda, baking powder, salt, powdered sugar. 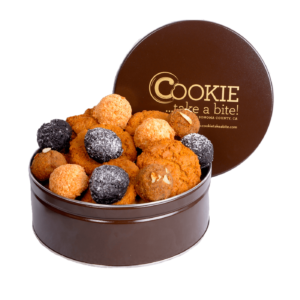 Fresh oranges and pure vanilla beans create a fresh and tasty treat. 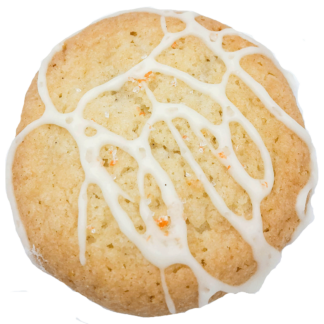 Ingredients: Organic wheat flour, cane sugar, organic butter (milk), eggs, fresh oranges, vanilla beans, baking soda, baking powder, salt. 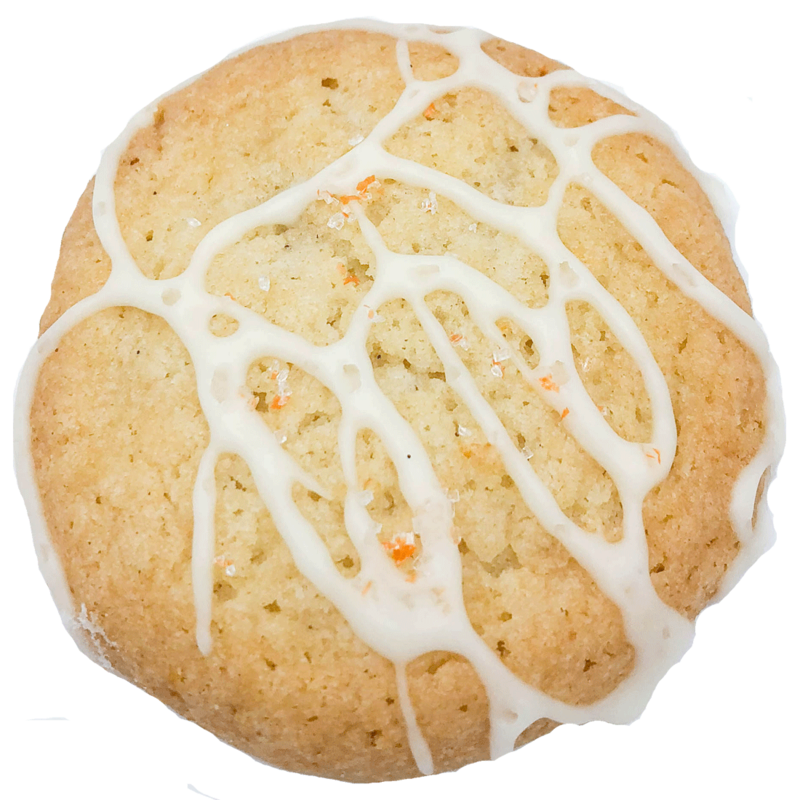 Glaze: orange juice, powdered sugar, colorant. Chocolate, chocolate and more chocolate! 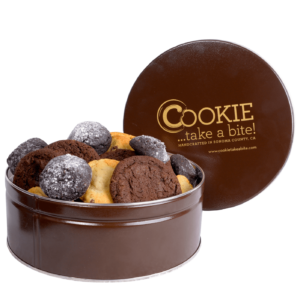 Our Triple Chocolate Threat is a lush chocolate treat. 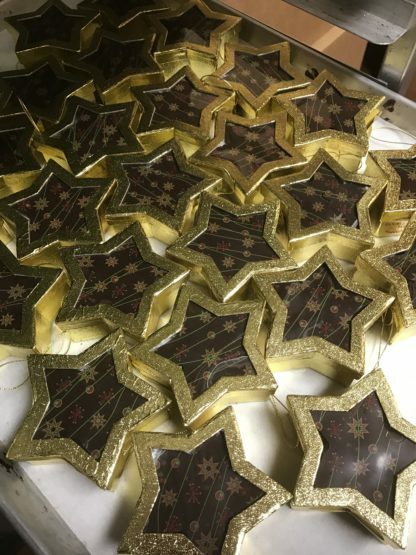 Ingredients: organic wheat flour, cane sugar, brown sugar, organic butter (milk), dark chocolate chips (sugar, unsweetened chocolate, cocoa butter, sunflower lecithin, vanilla bean seeds), white chocolate chips, cocoa powder, eggs, baking soda, baking powder, salt, vanilla extract.